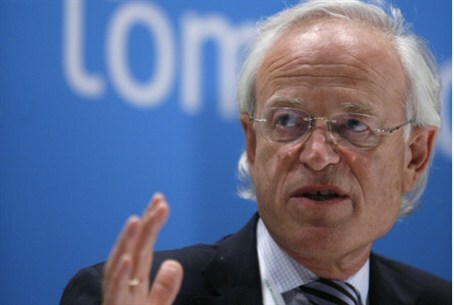 MainAll NewsMiddle EastFund Chaired by Indyk Promoting Arab Rioting? Web broadcasts are sponsored by the New Israel Fund, co-chaired by Obama peace mediator Martin Indyk. Social Television, a web channel sponsored by the New Israel Fund, has been encouraging its viewers to take part in protests against the Praver plan for legalizing Bedouin communities in the Negev. The pre-planned riots took place Thursday and had an extremely violent nature. The riots were led by radical Arab MKs Hanin Zouabi and Jamal Zahalka (Balad) at Wadi Ara in Israel's north-central region, and also took place at Lehavim Junction in the Negev. In Wadi Ara, 18 rioters were arrested because of violence. In the Negev, two Arabs were arrested after rocks were thrown. Police expected rioters to try and block Highway 65, and prevented them from doing so by showing up in large forces. MK Zahalka was asked Thursday by a television reporter if the rioters intended to block the road. He smiled and said that “the youths will do what they want.” He is the same MK who told Jewish MKs, in a Knesset debate that took place a few hours earlier, that the Arabs “were here before you and will be here after you are gone,” prompting a response from the prime minister. The Social Television web news broadcast, which can be seen below (in Hebrew), directs its viewers to take part in the demonstrations and points them to the Facebook page that organizes them. It also includes footage from previous violent riots, including riots at Jerusalem's Damascus Gate that involved serious violence against Jewish motorists. The Social Television broadcast includes an interview with a lawyer from the Association for Civil Rights in Israel (ACRI), another NIF-sponsored group, who backs the rioters and criticizes police for their alleged violence against the rioters. At least one Jewish man was stabbed at or near the location of the Damascus Gate riots, and more or less simultaneously with them. Riots by Israel's Arabs accompanied the outbreak of the terror war often referred to as “the Second Intifada” in September and October of 2000. Much of the rioting focused on Highway 65, which was blocked for several days. Riots of the type that took place Thursday can easily, therefore, turn into strategic threats on Israel's sovereignty within pre-1967 lines. The newscast includes a report on leftists who have been summoned to “interviews” with the Shin Bet, and directs them to information on how to handle themselves. The ACRI lawyer, Sharona Elyahu-Hai, explains that ACRI has filed a High Court motion against these Shin Bet interviews. The New Israel Fund is co-chaired by Martin Indyk, who has been chosen by U.S. President Barack Obama to be the mediator in “peace talks” between Israel and the Palestinian Authority.